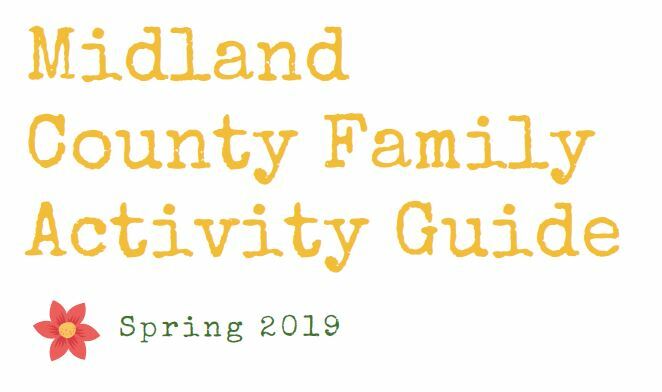 This guide provides some quick tips for learning at home and fun FREE or low cost Midland County Spring events. Kindergarten Readiness: It is important in the early years to prepare children for Kindergarten. Kindergarten Readiness is the result of a partnership between teachers, community partners, and parents. Each page of this guide contains a checklist for the skills we are building to help your child prepare for kindergarten and beyond. Home Connection: A child’s family is their first teacher. Families are busy, and preparing for kindergarten can be overwhelming. Each box labeled “home connection” has free, easy, and fun ideas that fit into your daily routine. Have fun learning while playing “I Spy” in the car, pretending to be a “clean up robot” or making a healthy snack together. Community Connection: Have you ever heard the African proverb “It takes a village to raise a child?” Midland County certainly understands that philosophy. In the bottom right hand corner of each page, you’ll find FREE and low cost community activities and resources to help your child grow. Research shows children who participate in community events have higher achievement and school success. Have fun learning and exploring all of the exciting resources Midland has to offer! Midland County Great Start Collaborative shared a post. Please join us and the Midland Area Community Foundation for this online giving event! Give Local Midland and Give Local Bay 2019 are coming on May 7th! What are your favorite things about these communities?